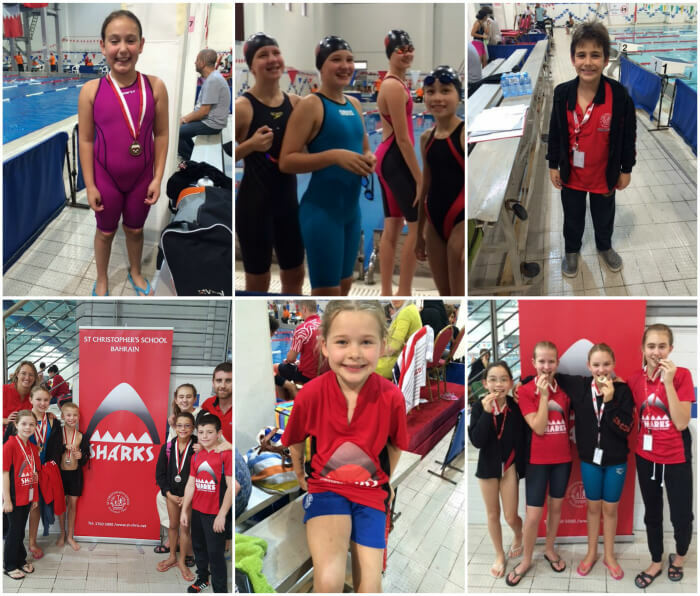 38 swimmers from our St Chris Sharks squad competed in the 5th Bahrain International National Day short course swimming competition here in Bahrain held over the weekend of 11-12 December. Our swimmers did extremely well gaining personal best times and winning 18 Gold Medals, 12 Silver Medals and 13 Bronze Medals. For some of our squad this was the first time for them to compete outside of our School Galas.